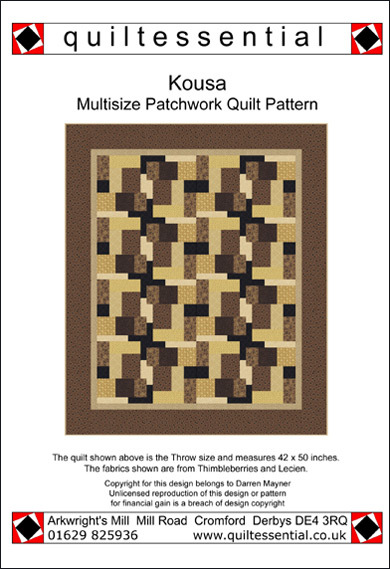 These patterns DO NOT contain piece templates but give dimensions for you to cut the fabric pieces, which all have straight edges. 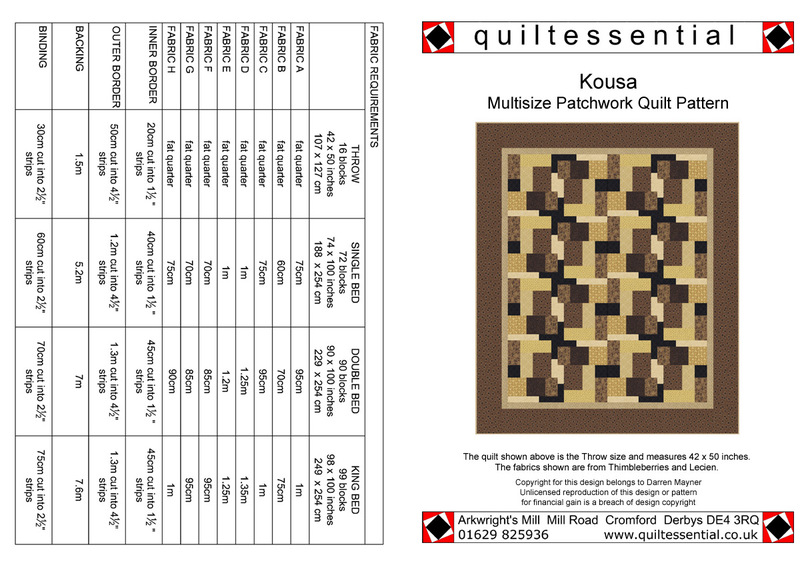 For all patterns you will therefore require rotary cutting equipment. 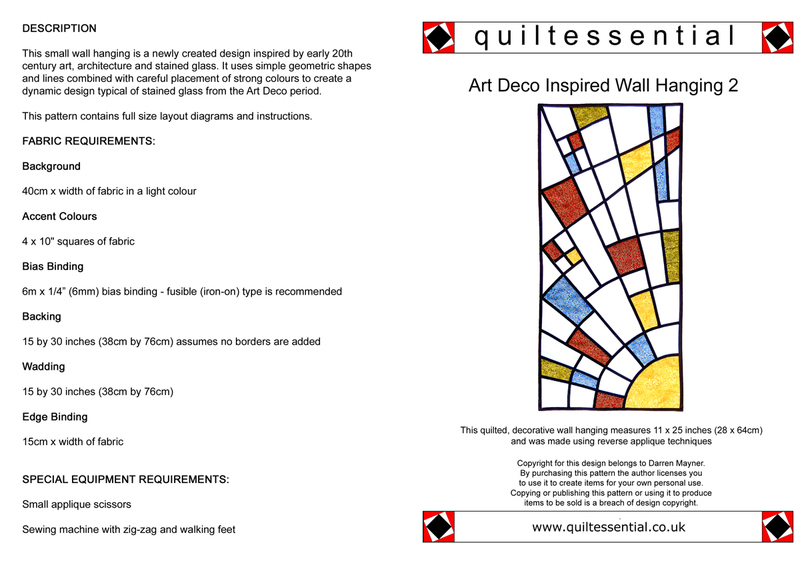 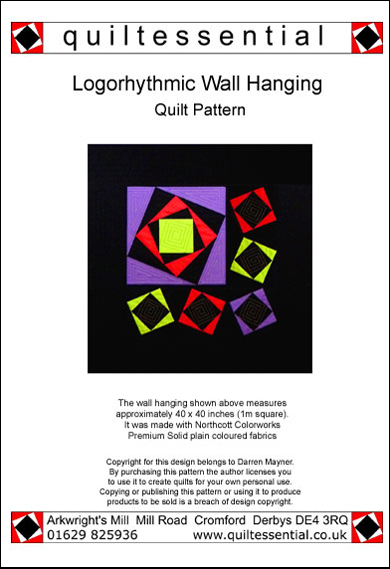 Darren produces the patterns with clear, detailed instructions and illustrations. 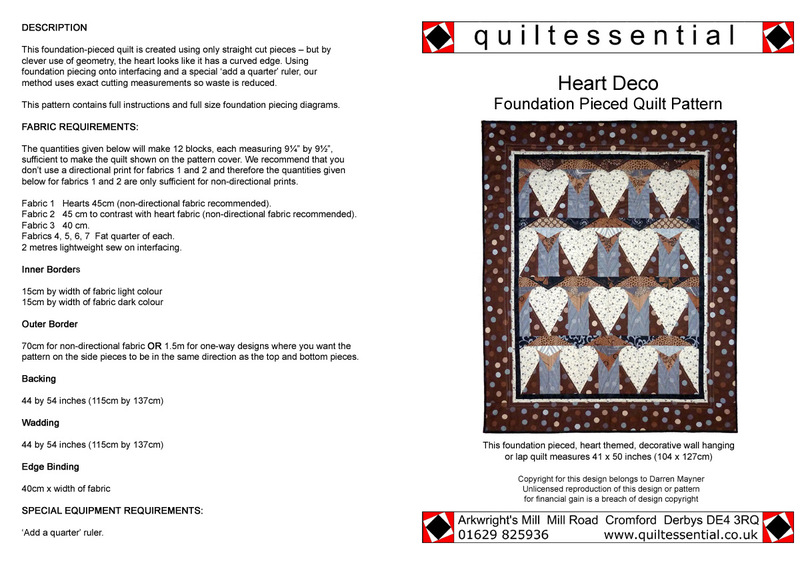 He also considers fabric efficiency when designing and the fabric requirements on these patterns have been carefully worked out. 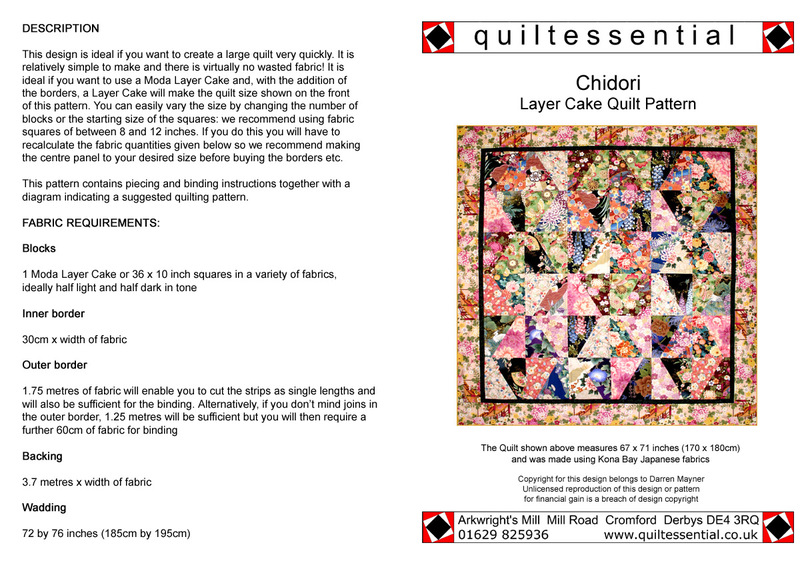 You may find free patterns elsewhere but, in our experience from customers bringing them into the shop, they are usually not very clear and require you to buy far more fabric than necessary. 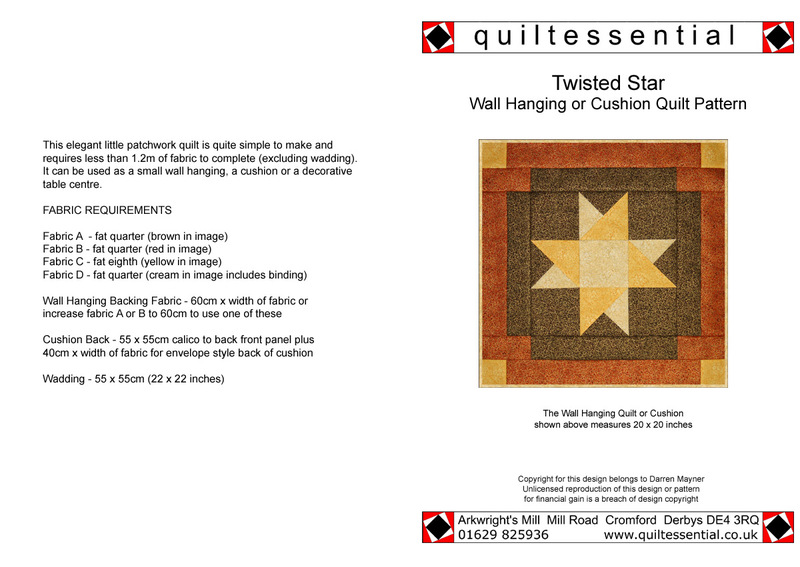 All designs are subject to copyright. 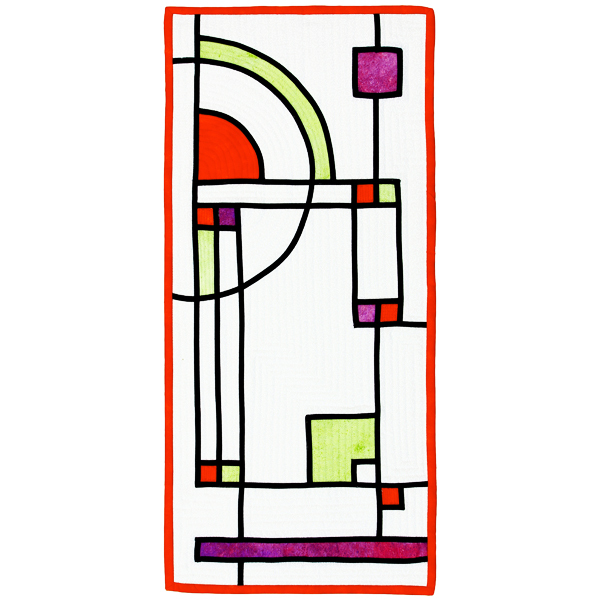 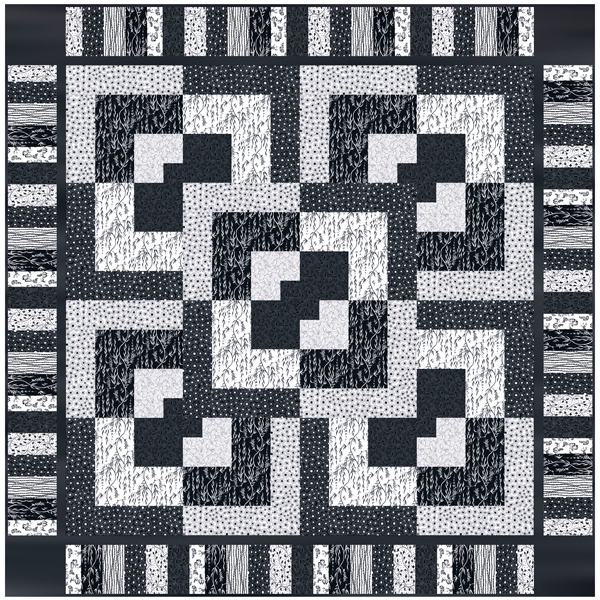 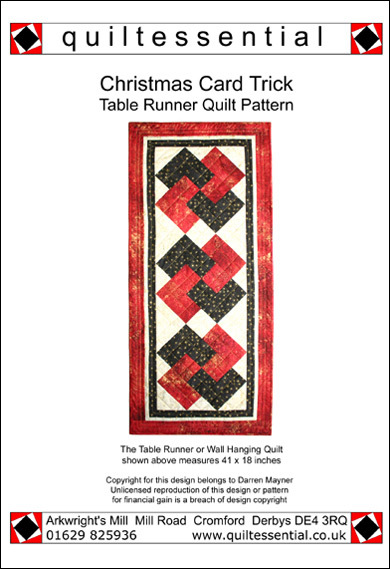 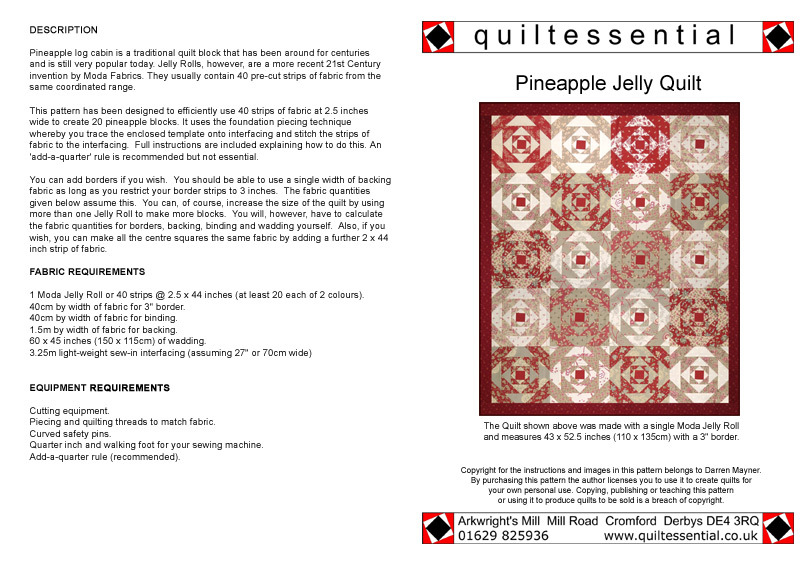 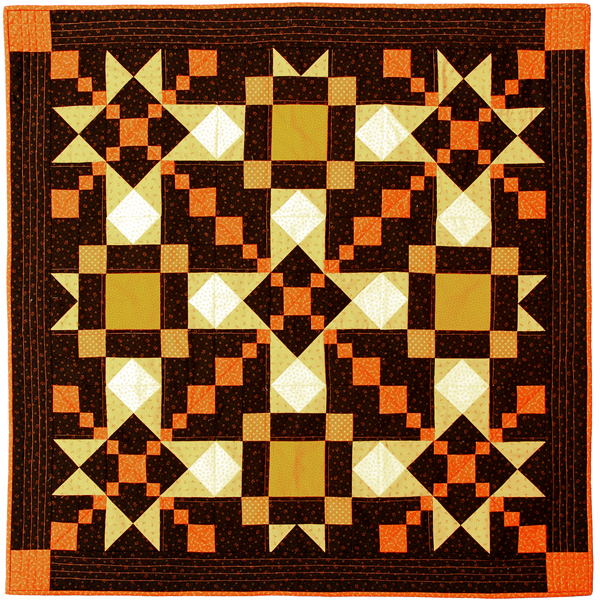 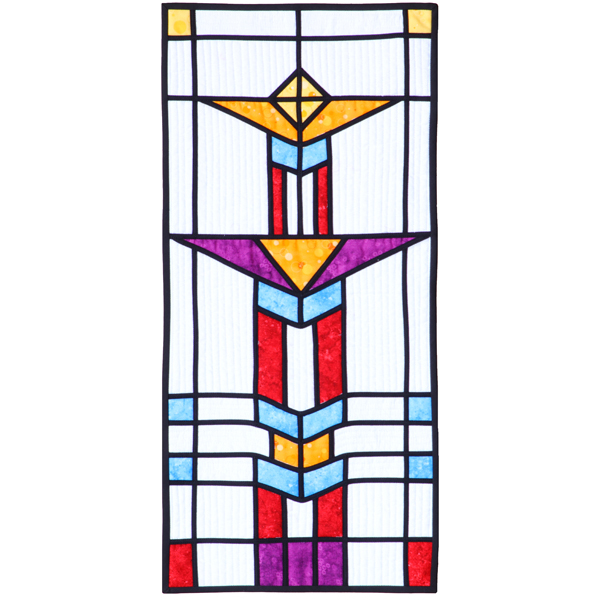 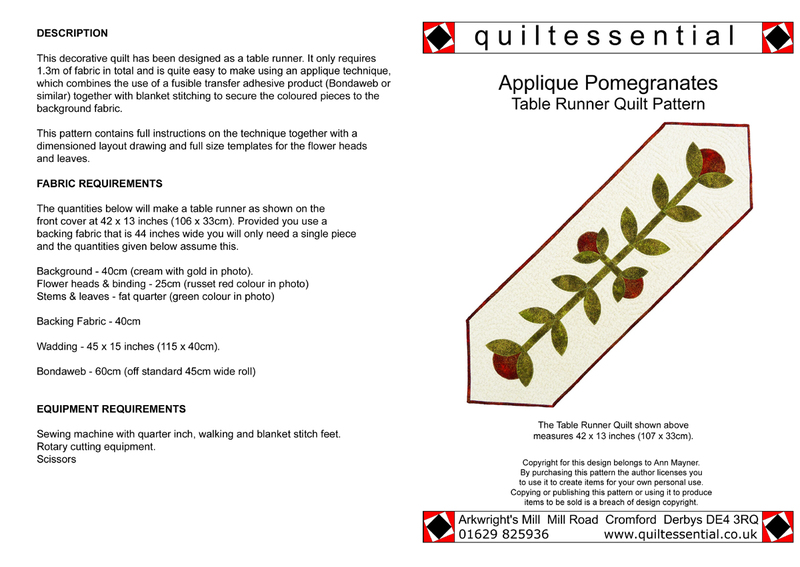 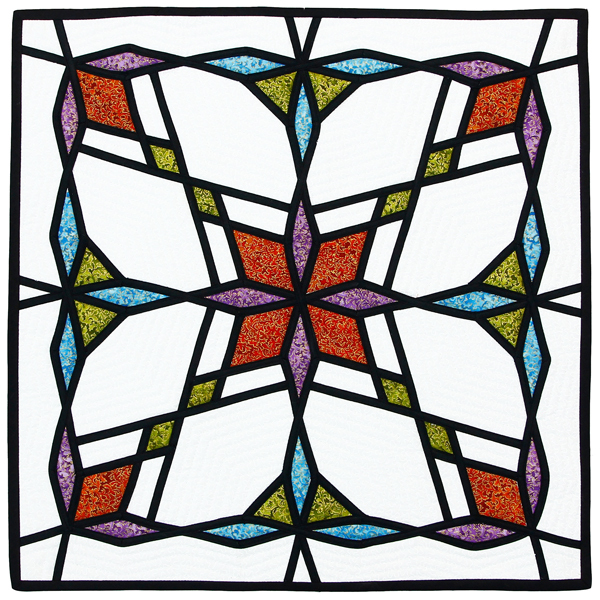 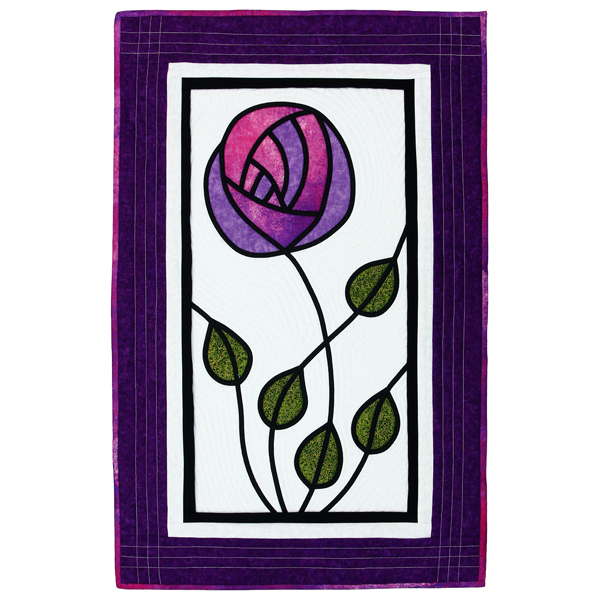 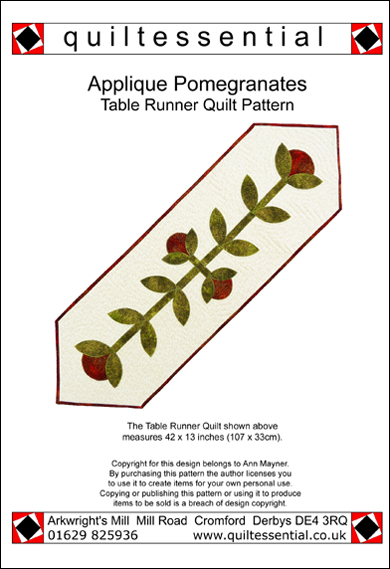 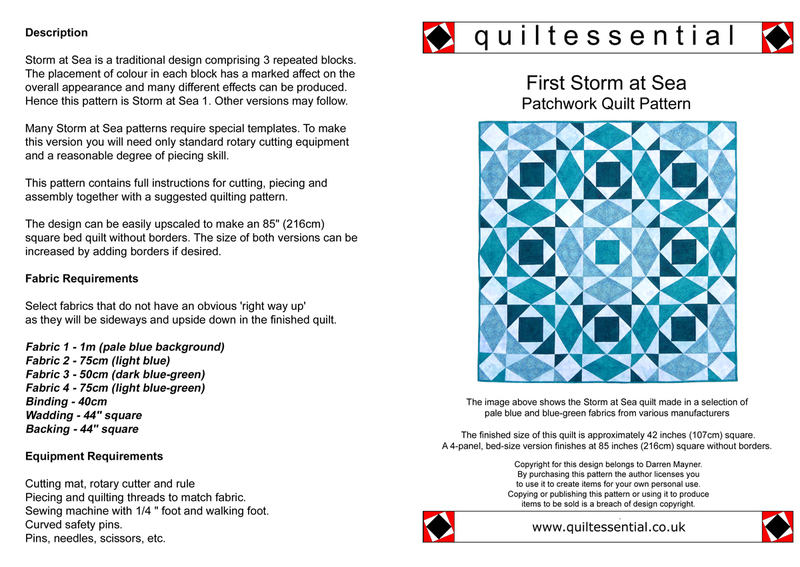 Buying a pattern allows you to use the design to produce quilts for your own personal use. 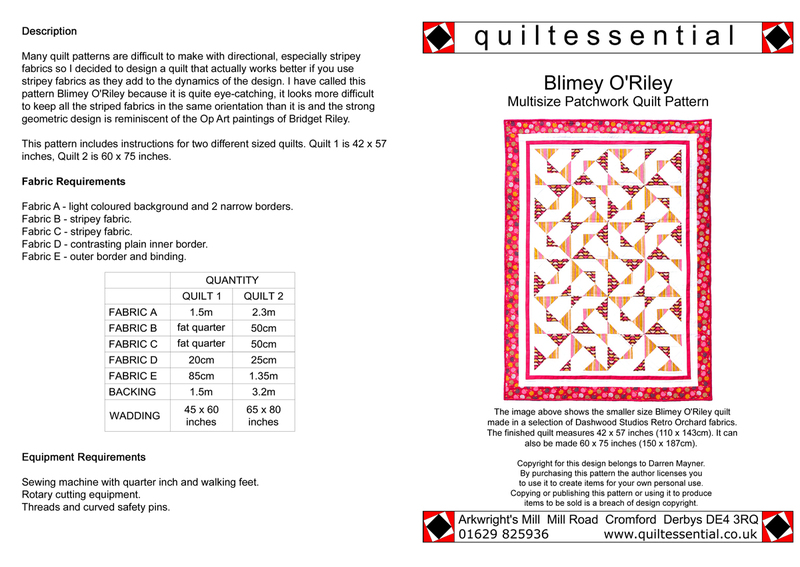 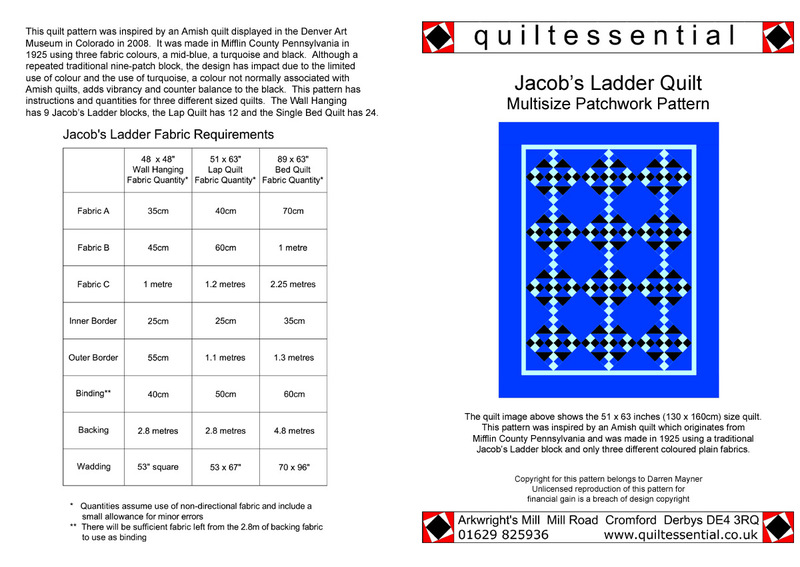 Producing quilts for sale from these designs or duplication and distribution of these patterns without consent from the designer is a breach of copyright and may result in legal action. 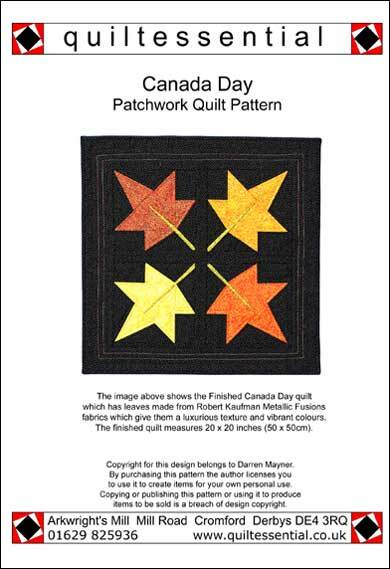 A lot of time and effort goes into producing these patterns - please respect the designer's rights! 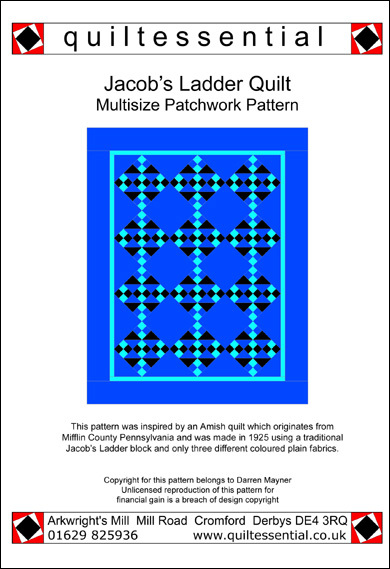 Patterns are individually priced. 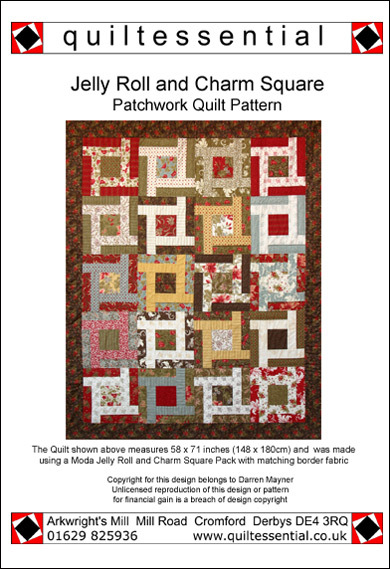 Postage charges are based on the total weight of your order so adding a pattern to your order may not increase the overall postage cost. 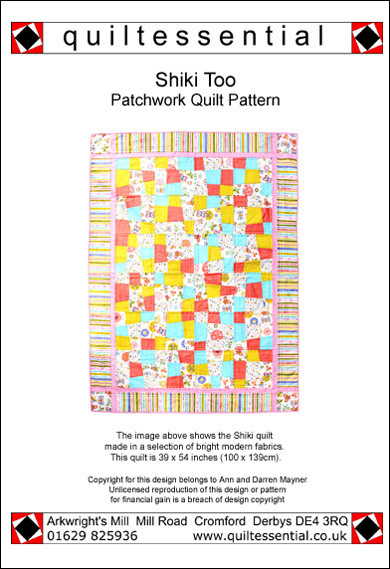 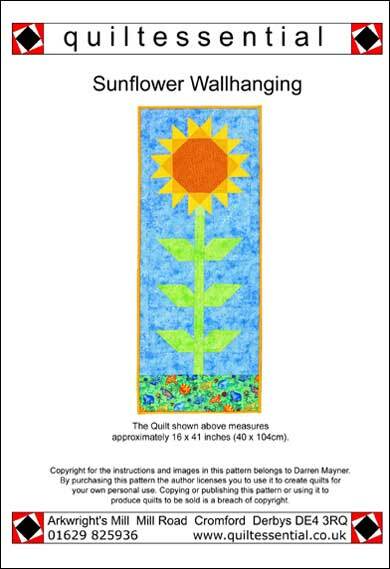 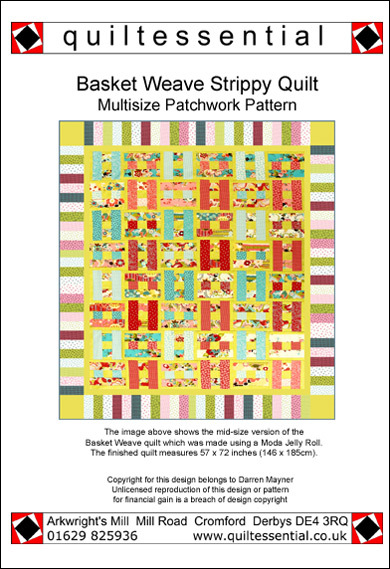 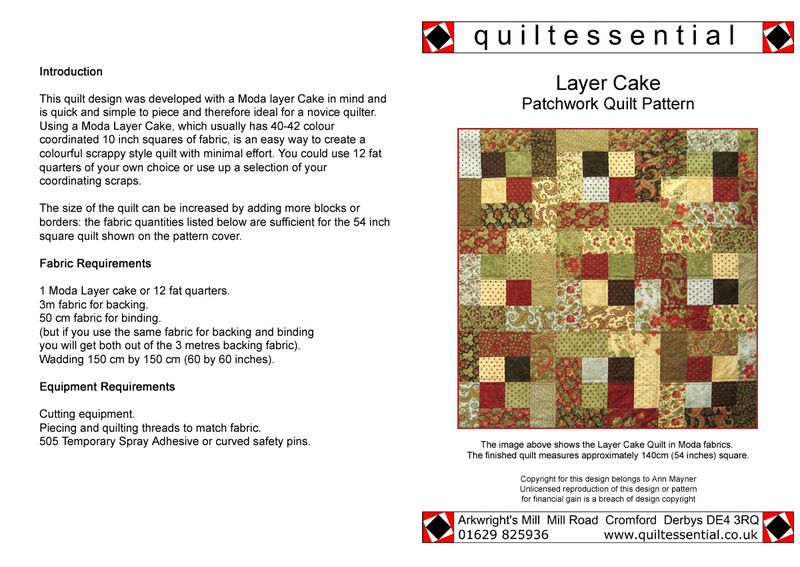 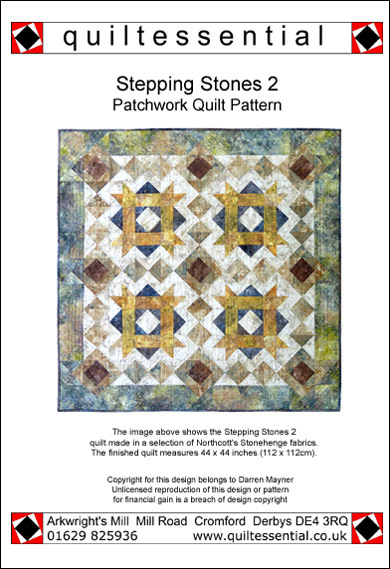 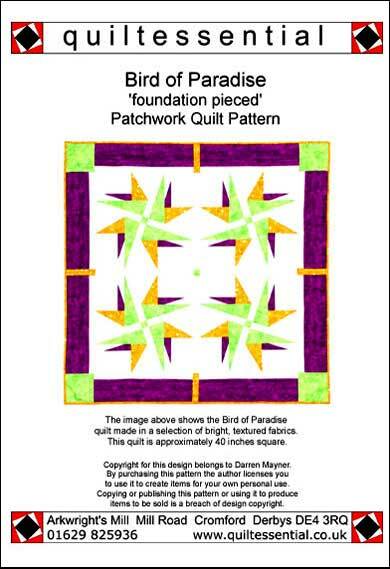 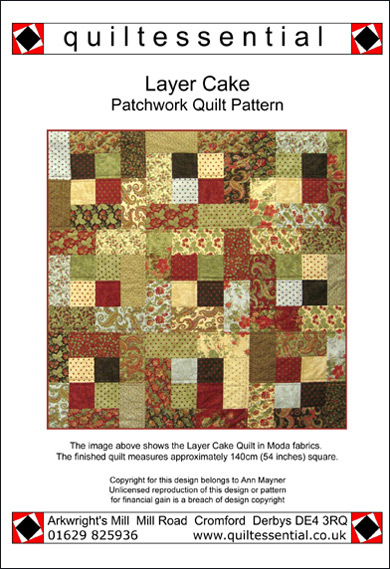 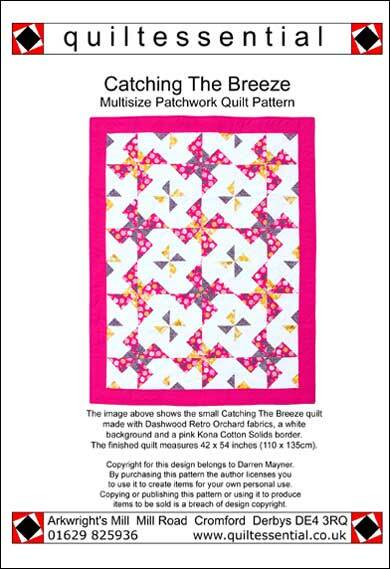 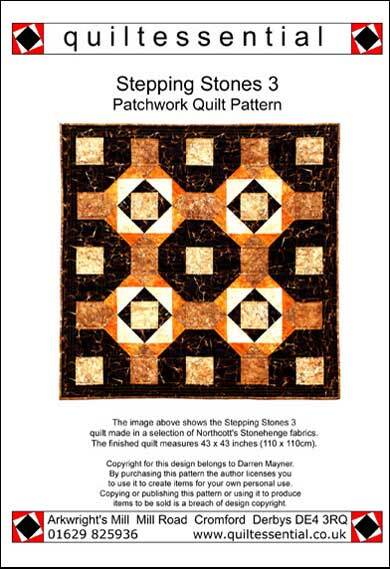 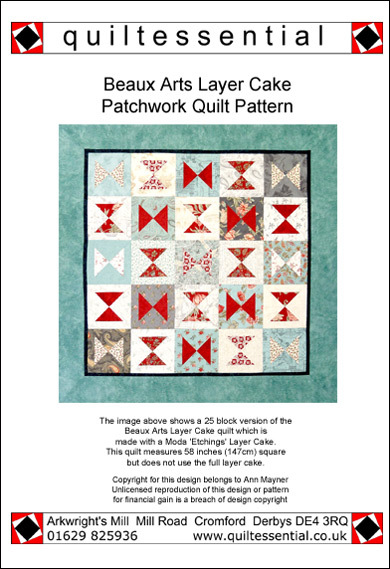 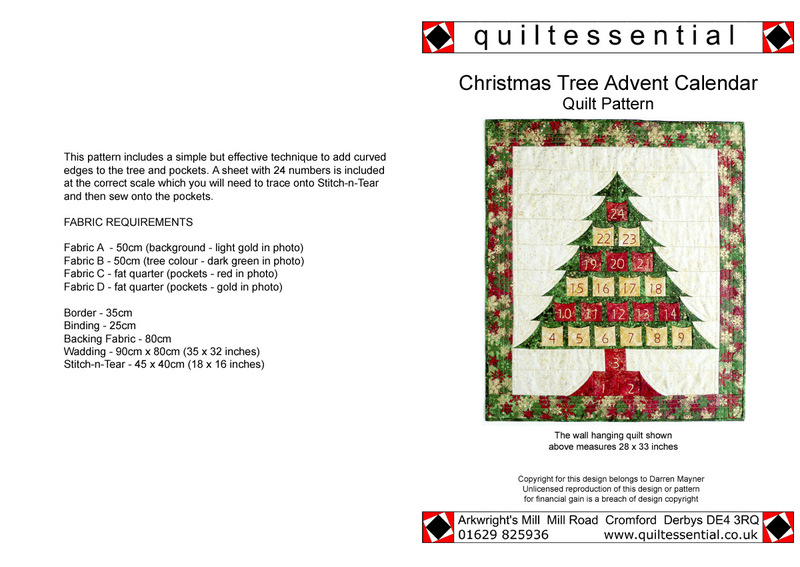 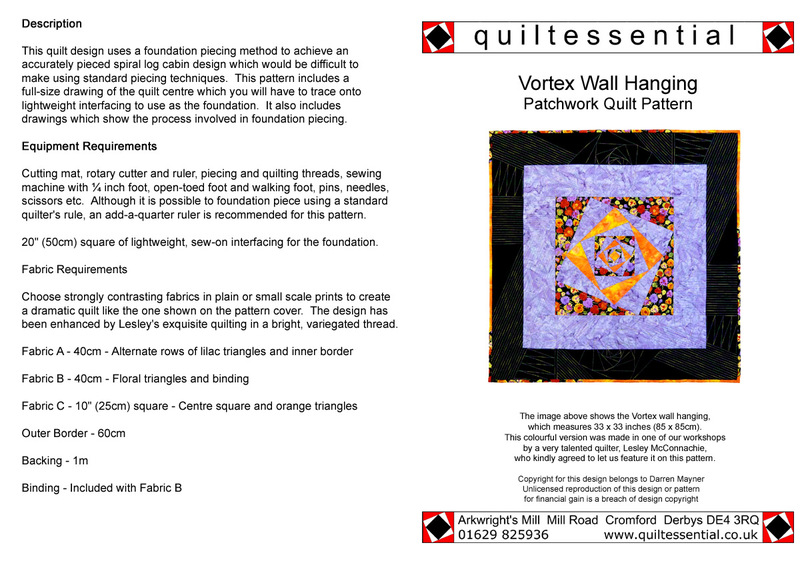 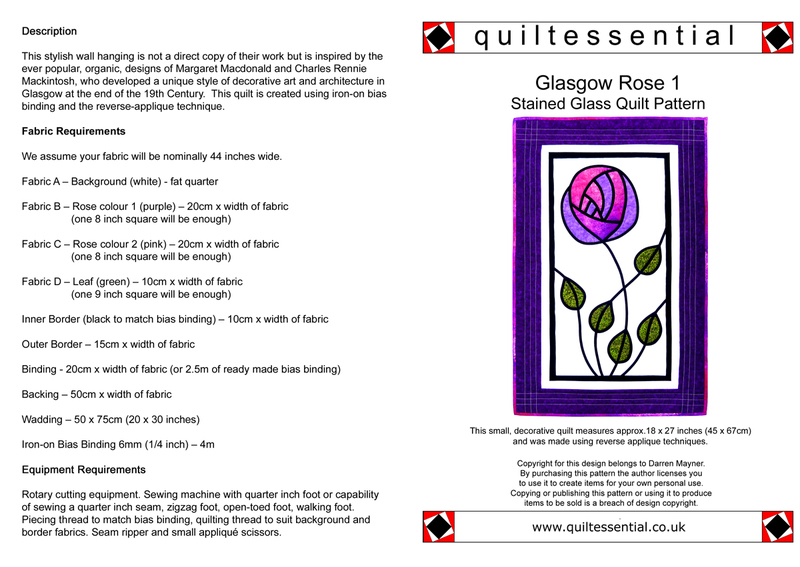 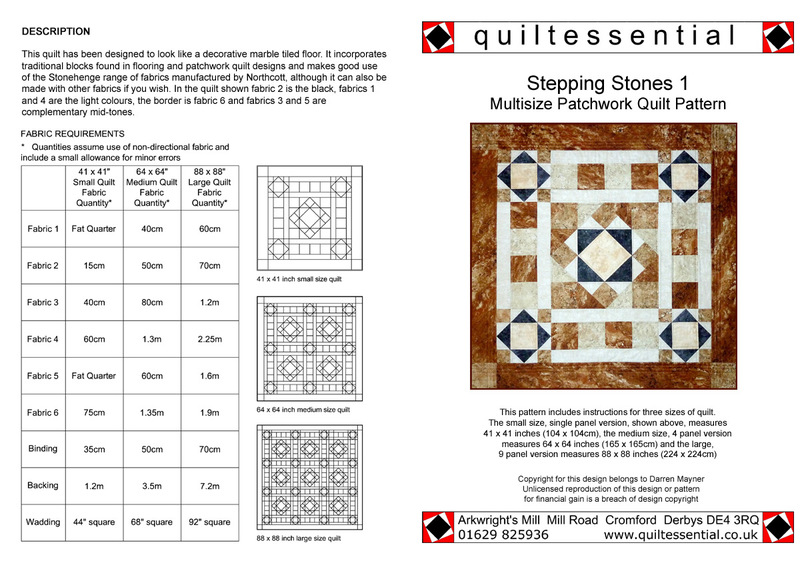 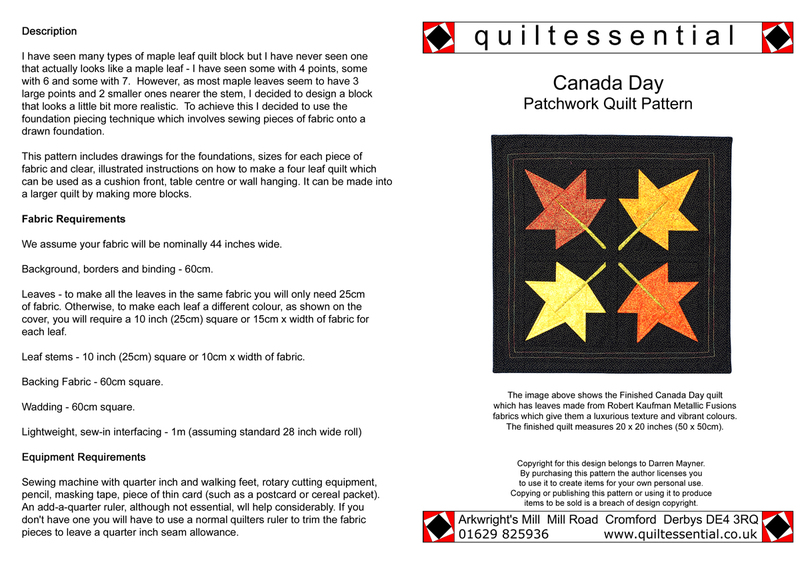 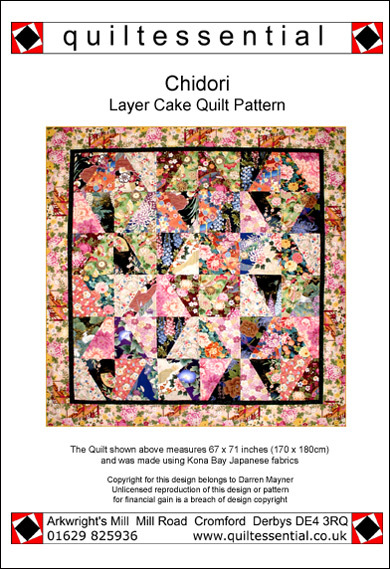 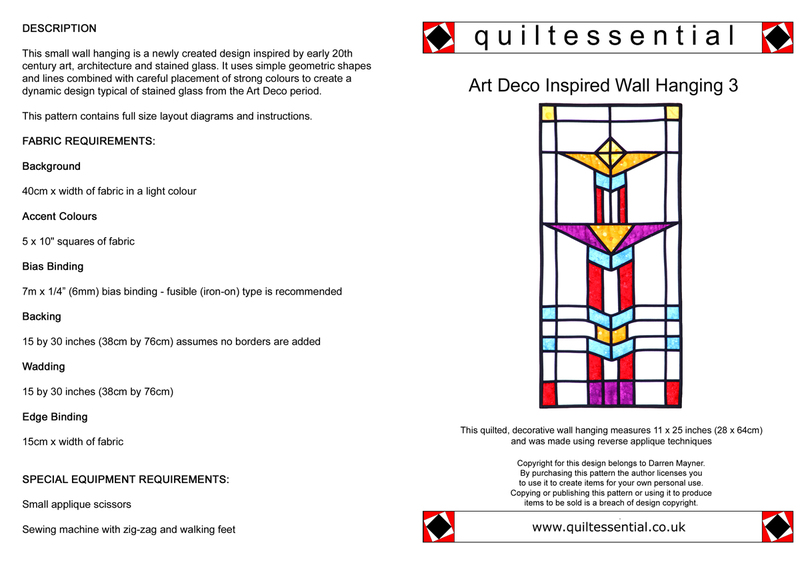 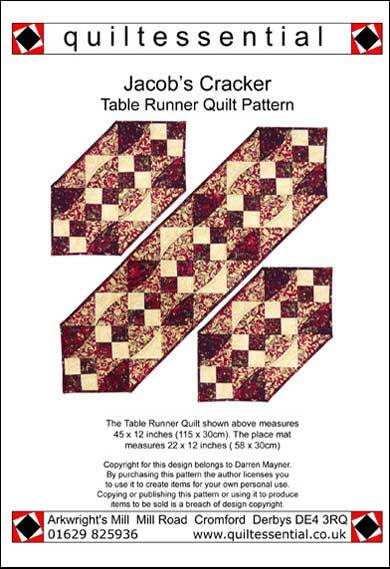 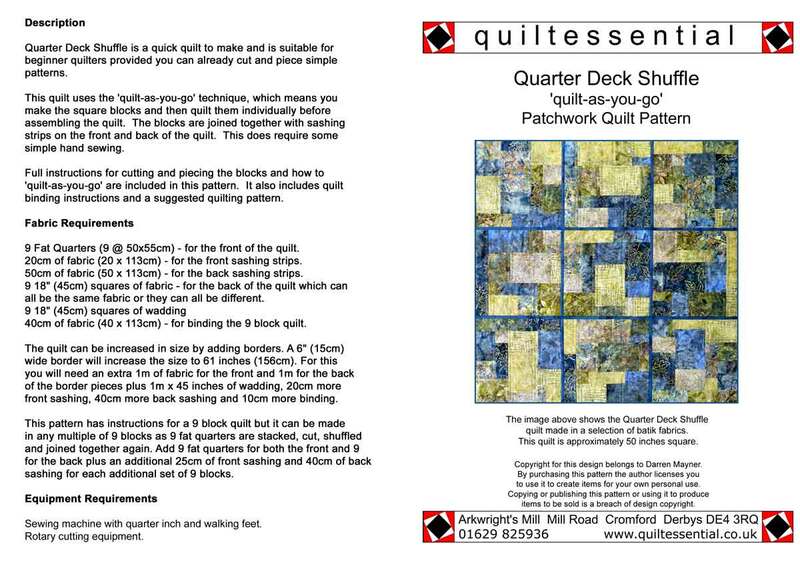 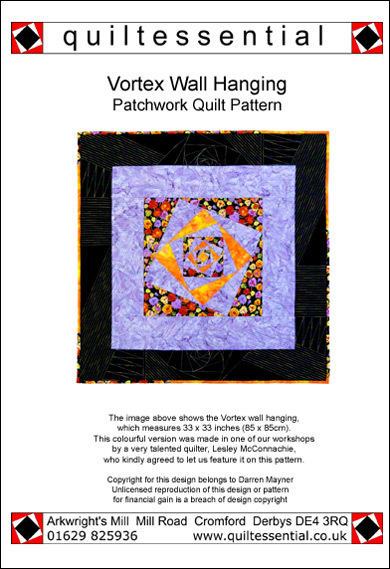 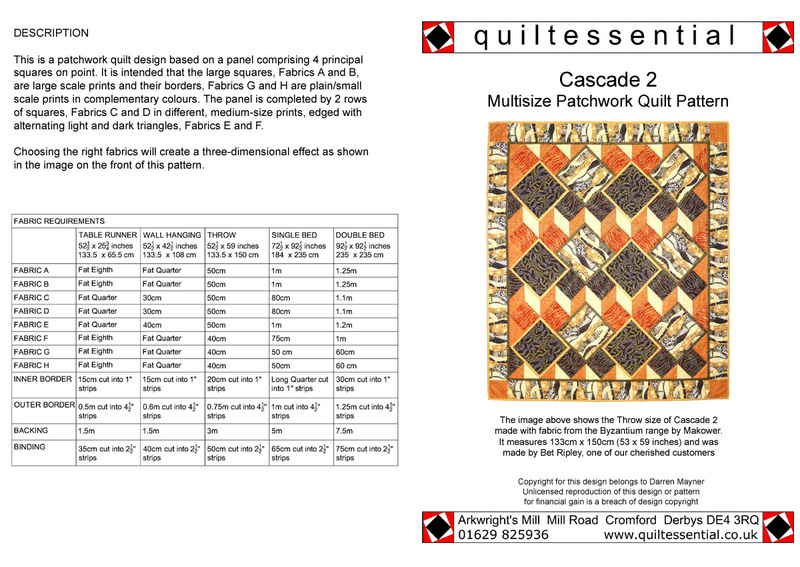 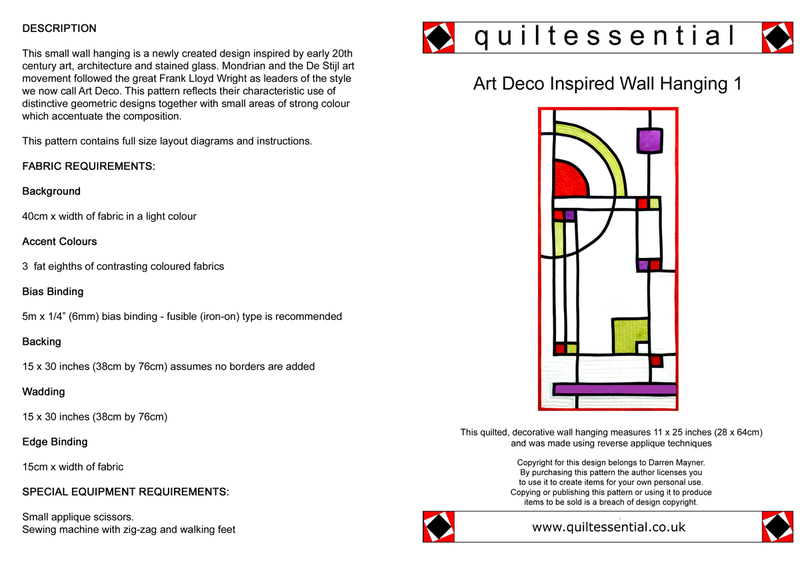 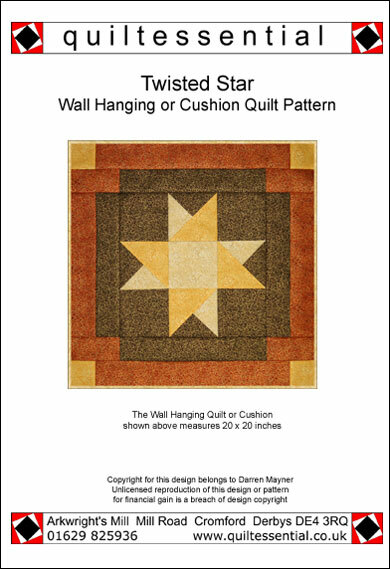 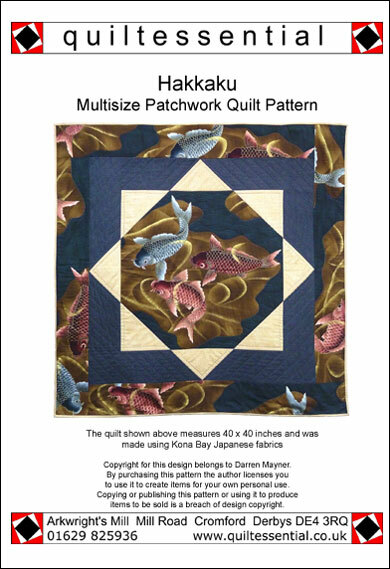 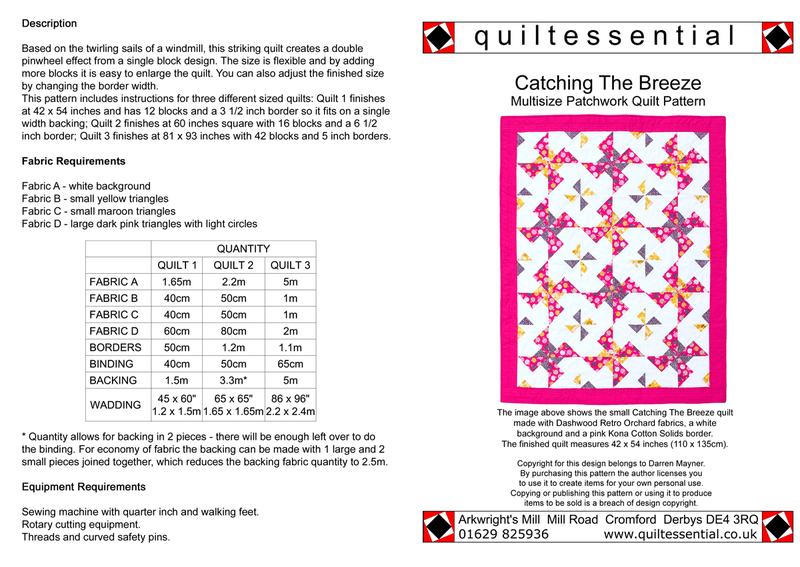 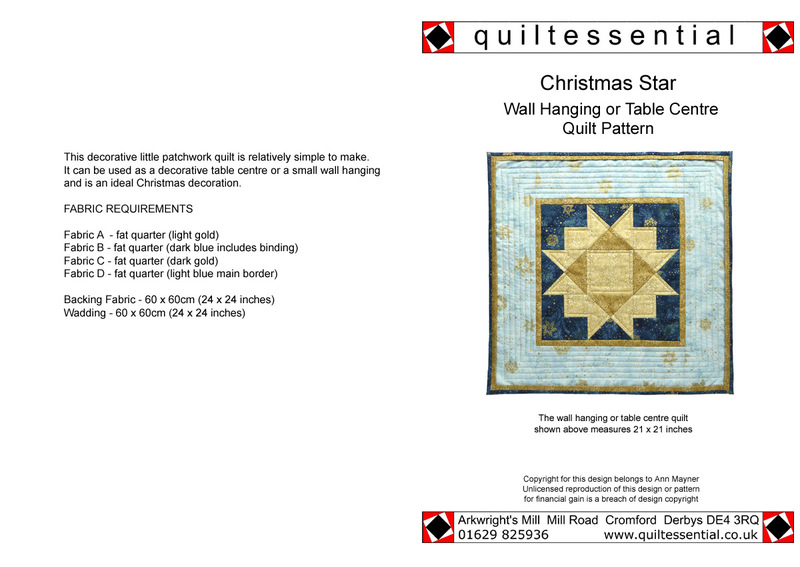 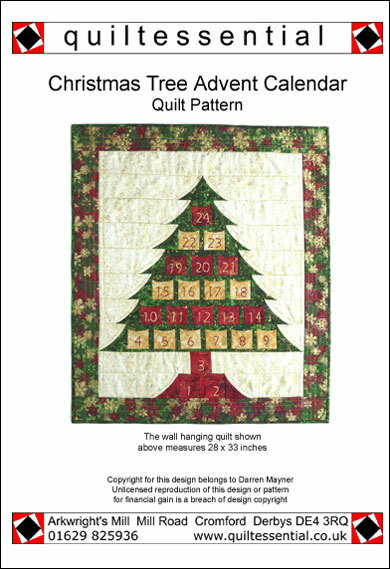 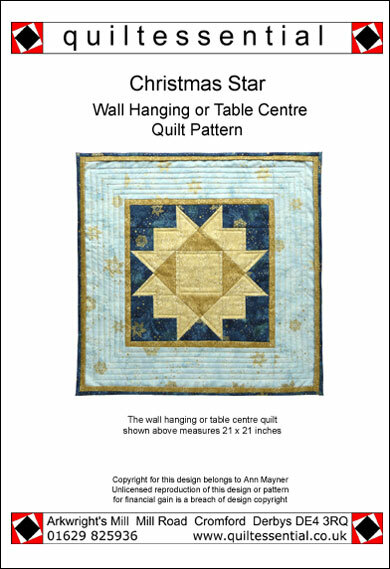 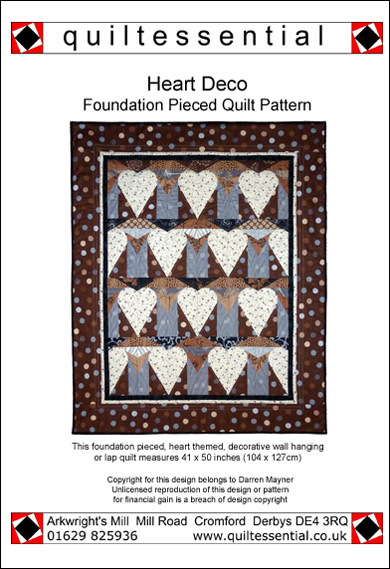 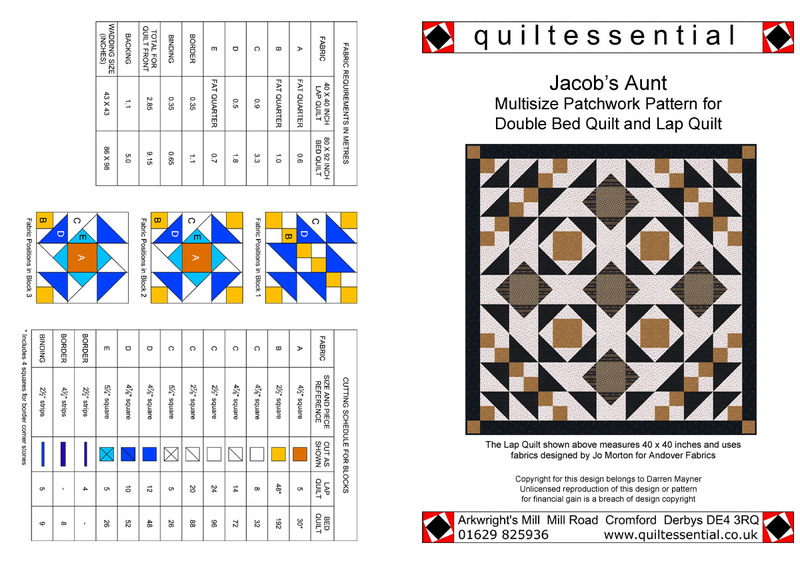 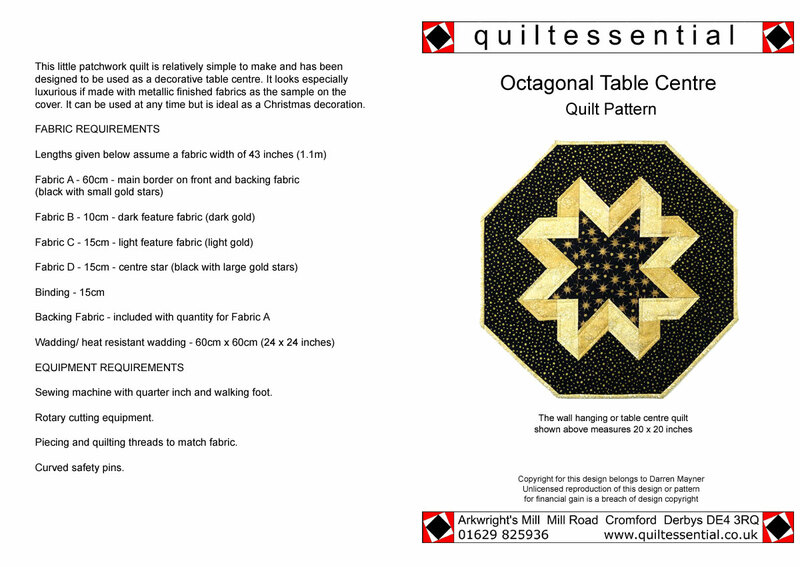 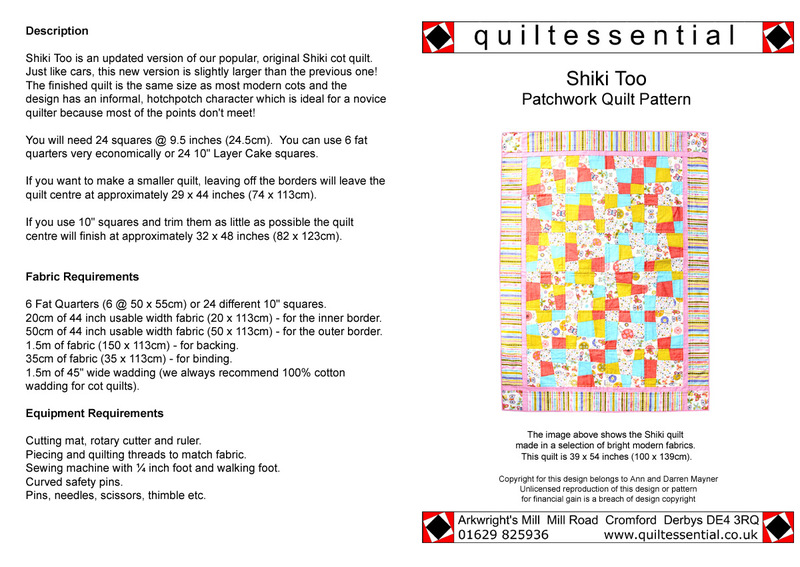 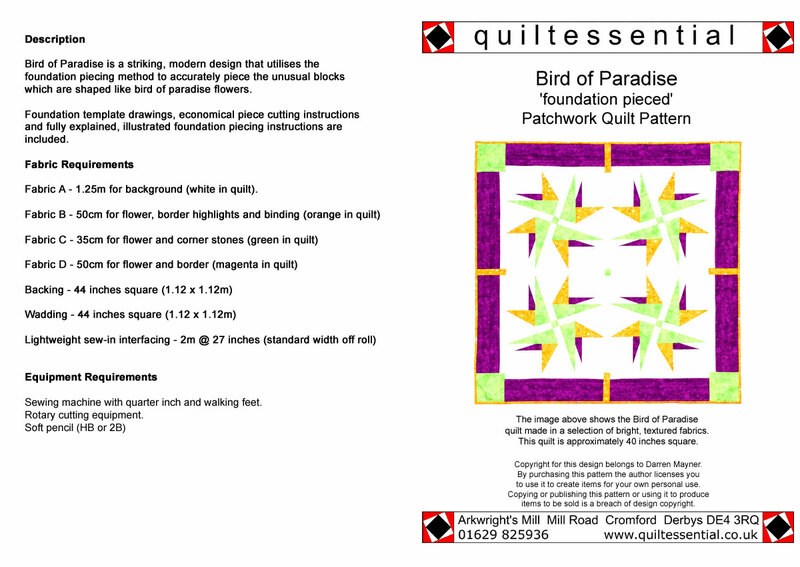 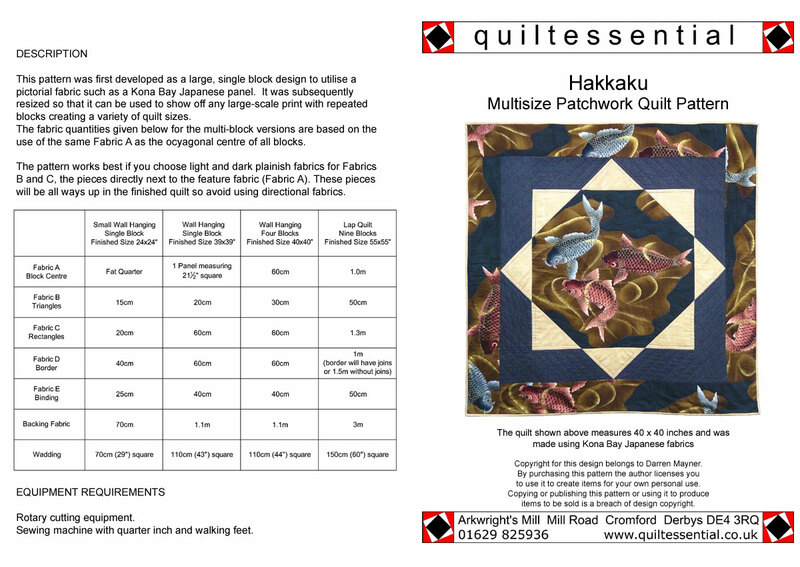 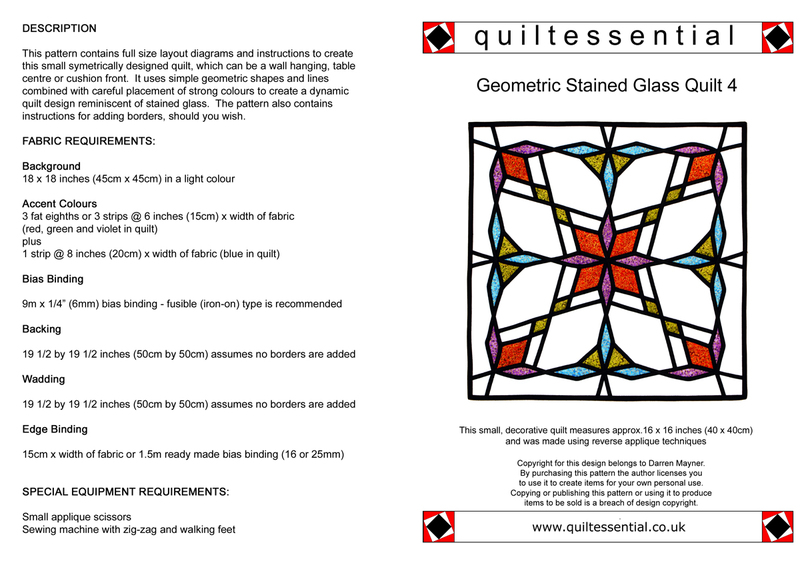 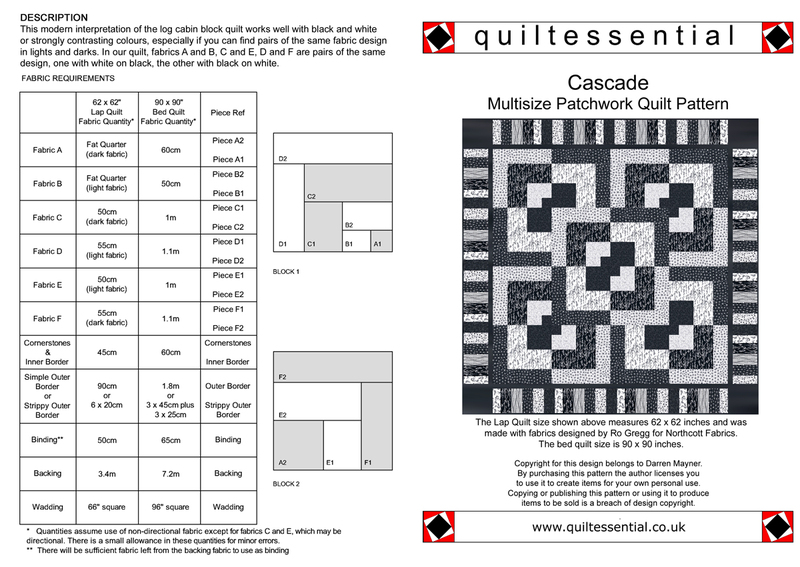 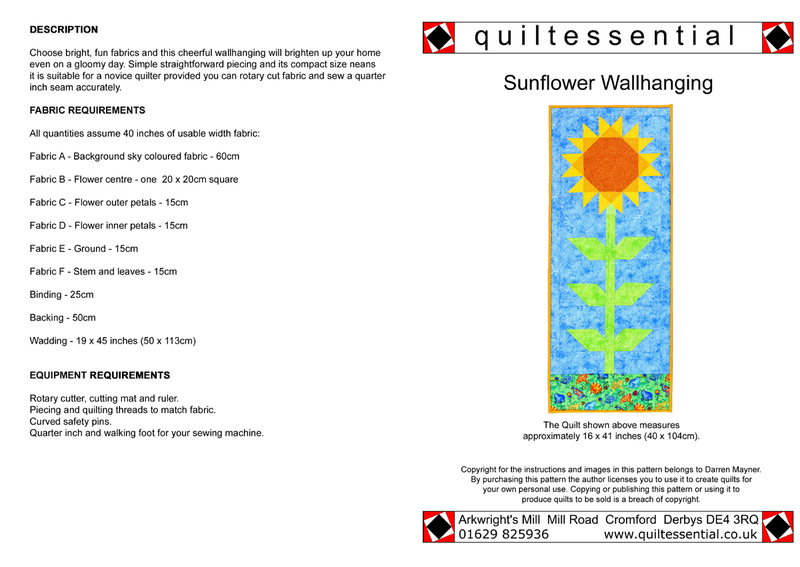 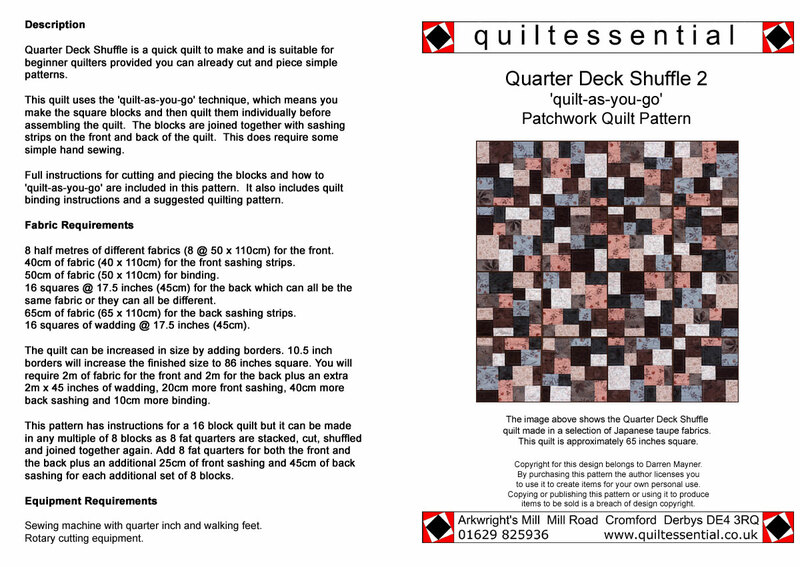 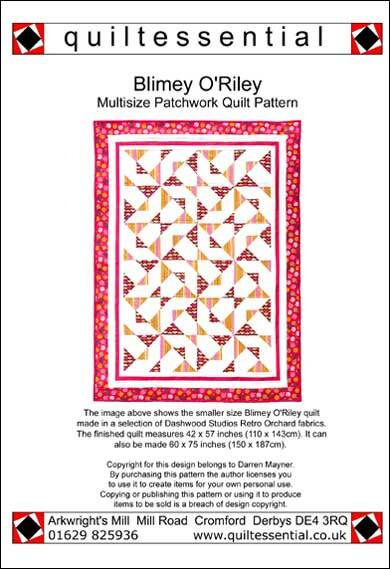 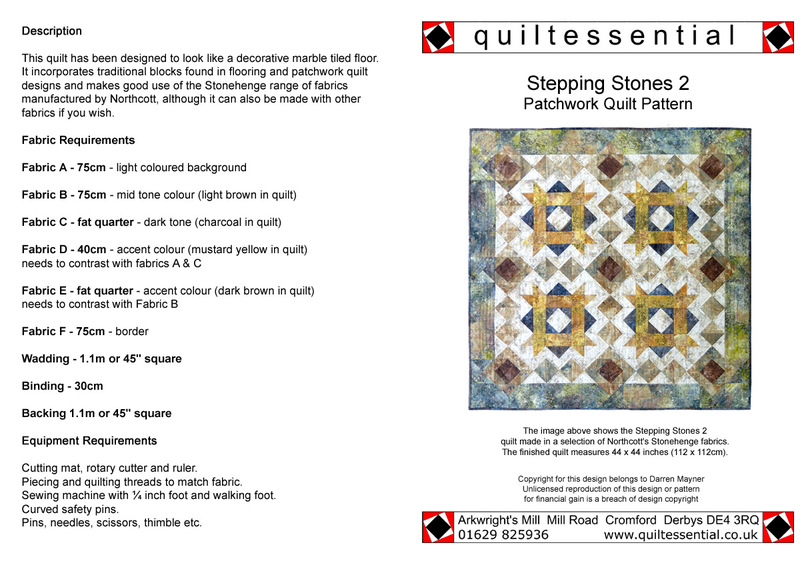 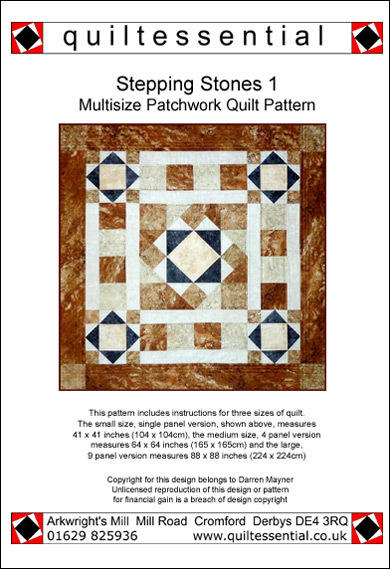 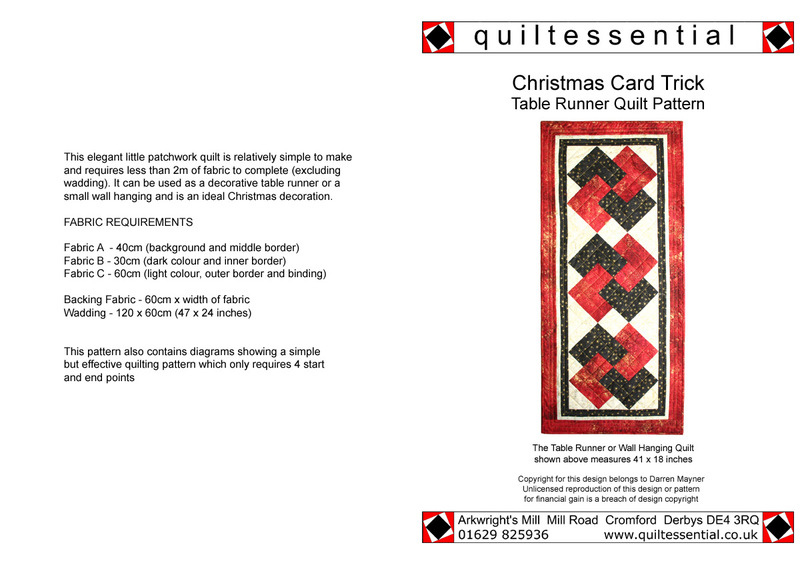 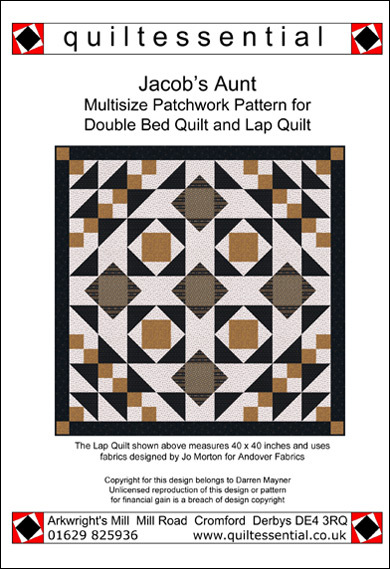 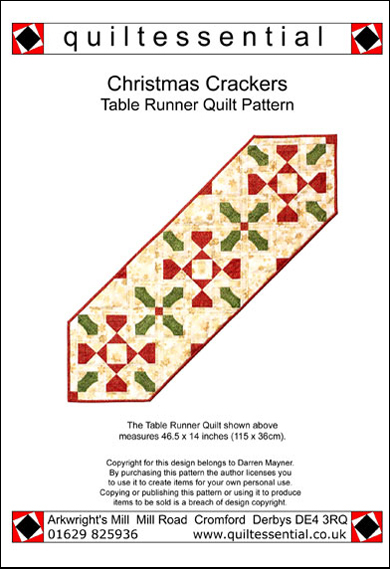 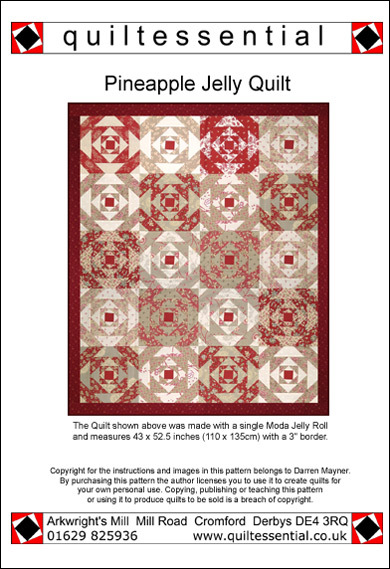 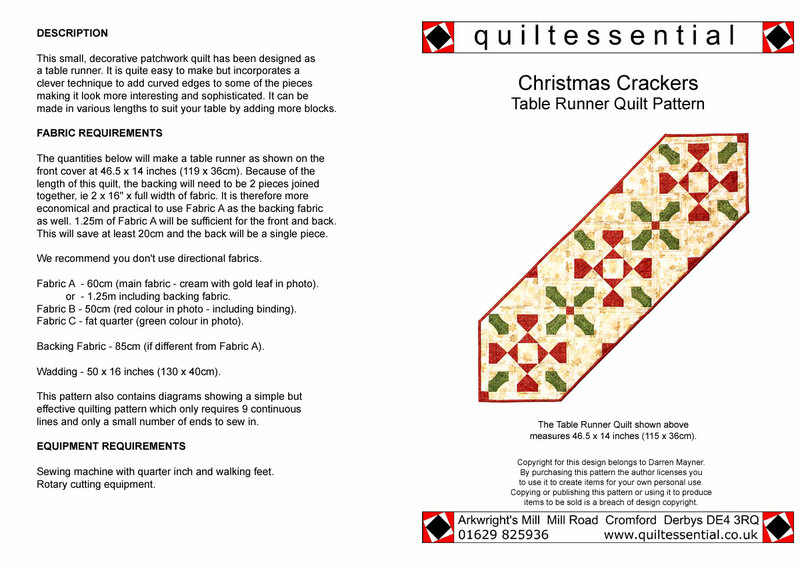 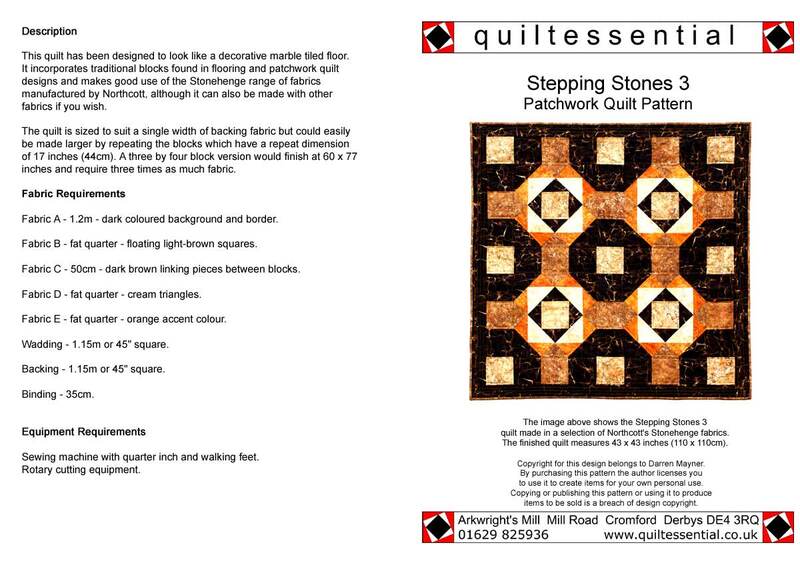 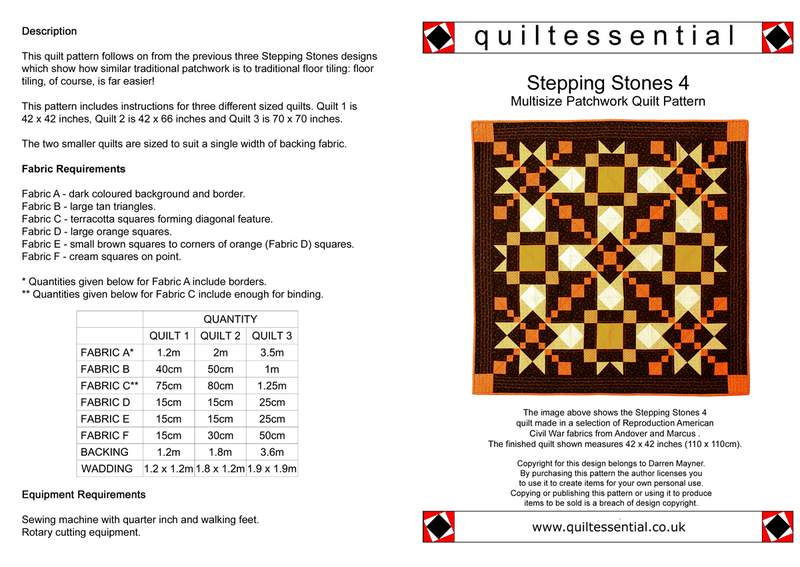 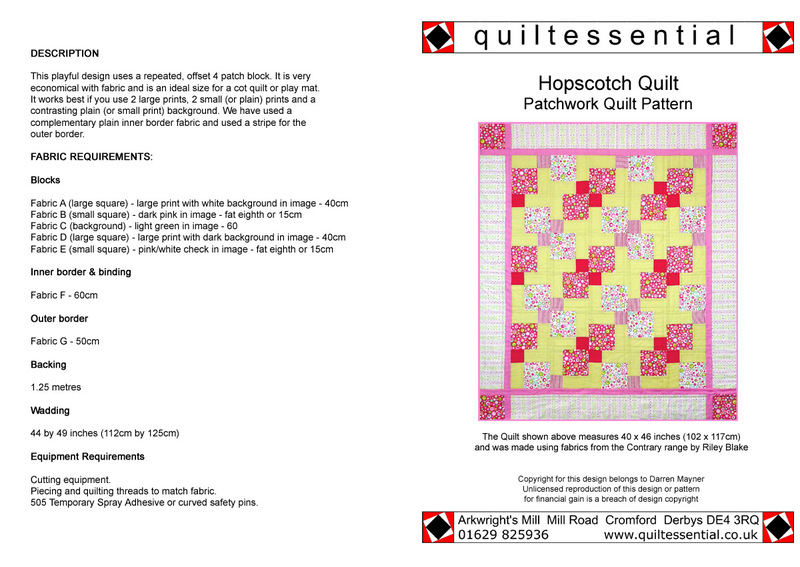 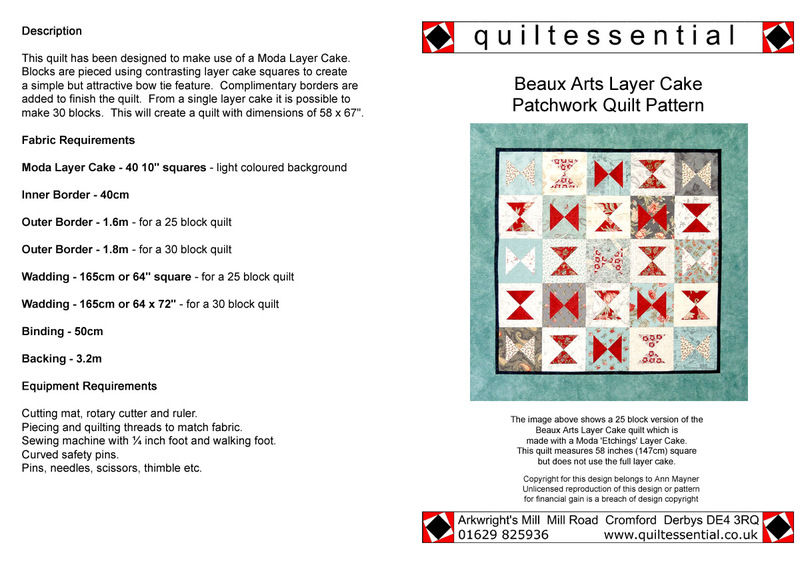 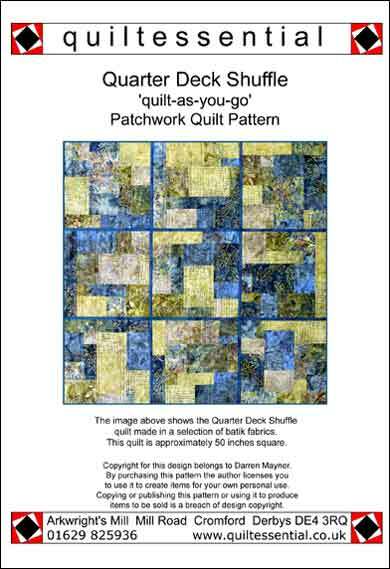 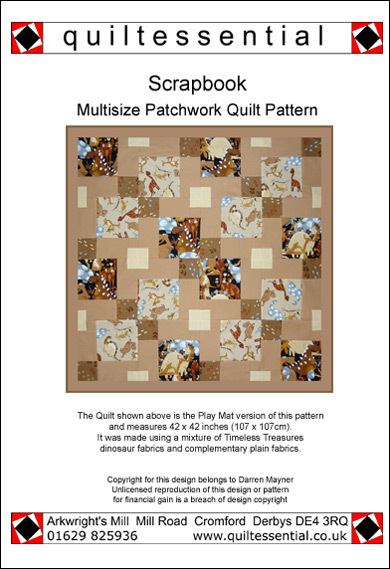 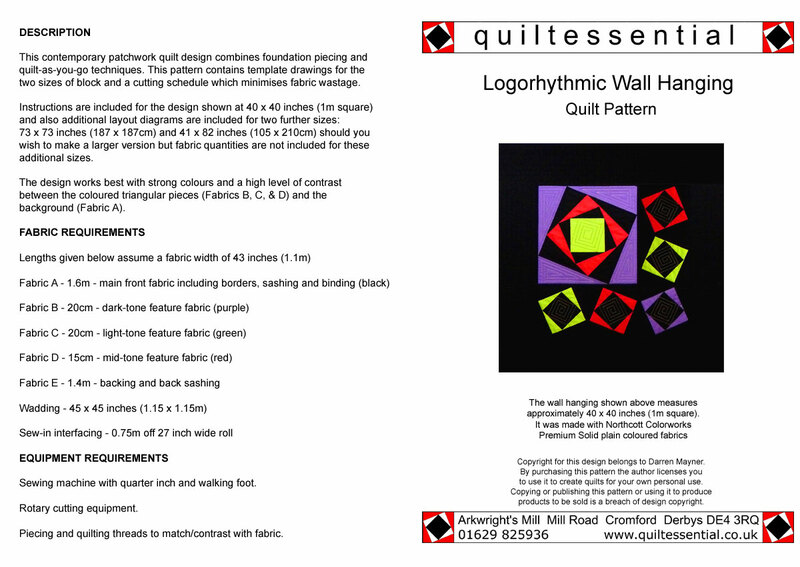 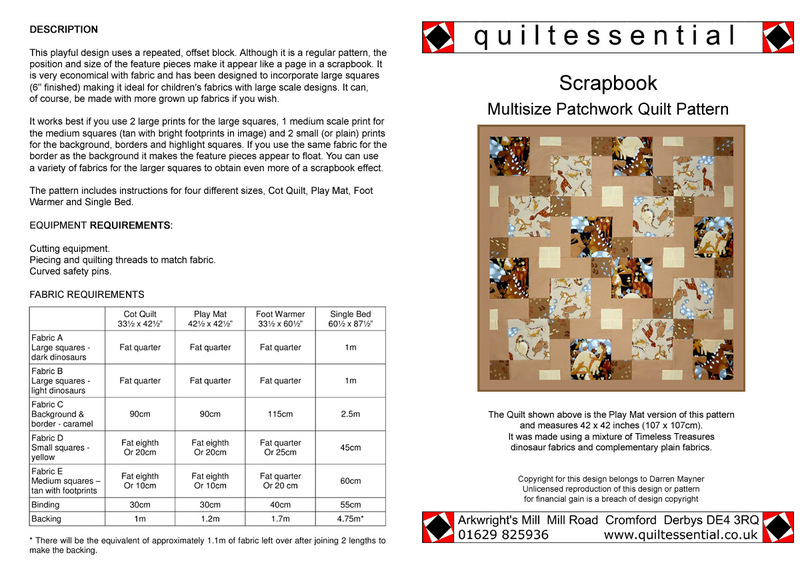 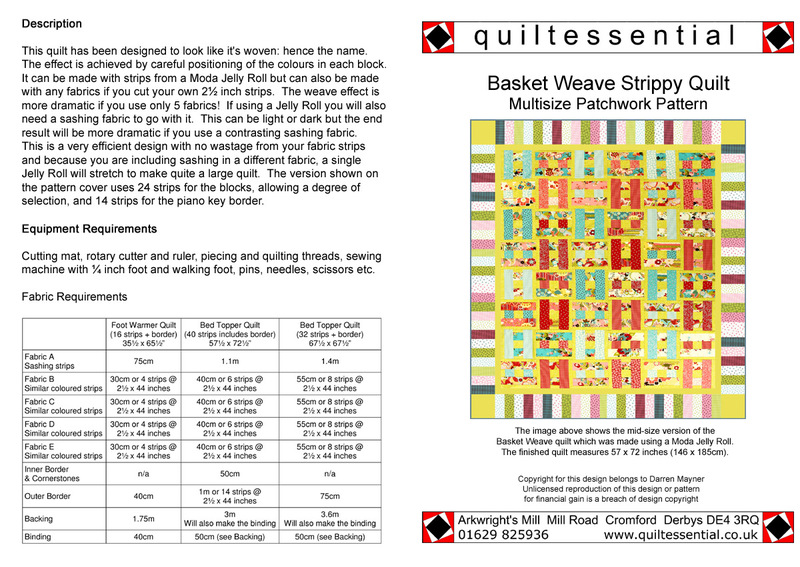 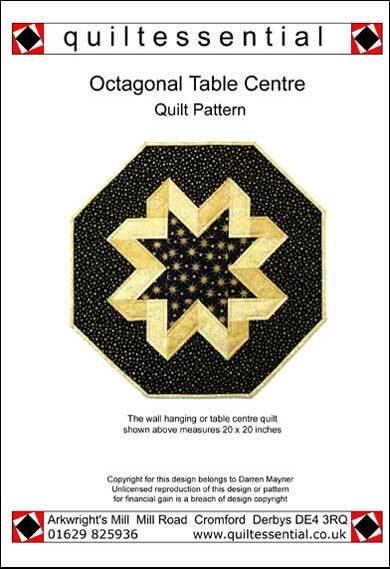 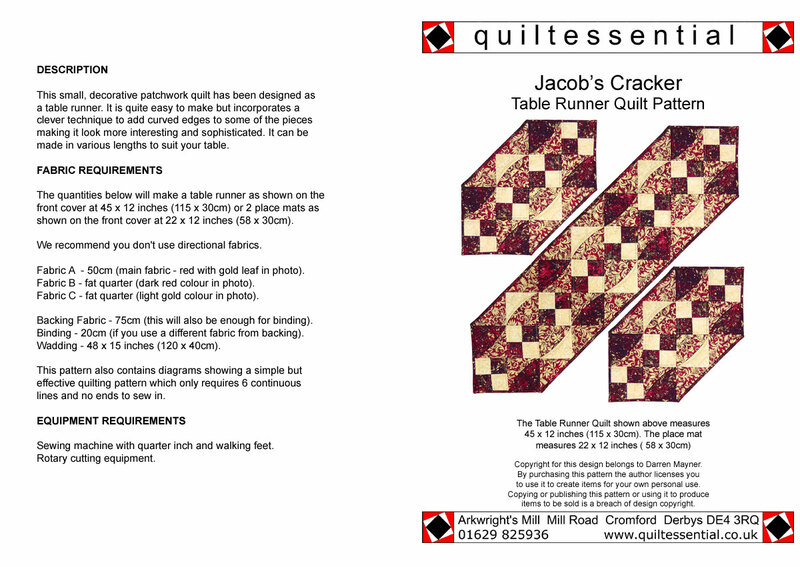 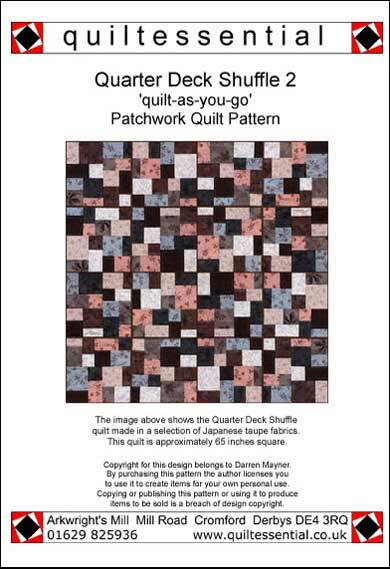 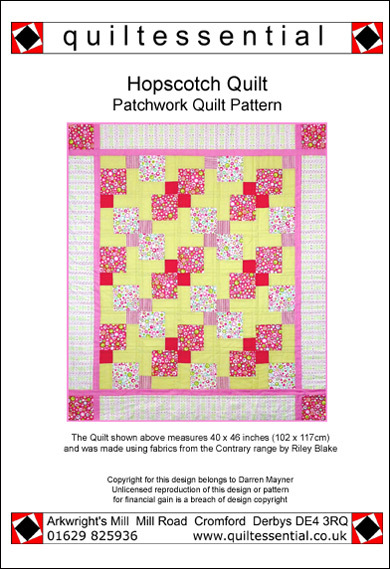 The patchwork quilt patterns on this page are exclusive to quiltessential and have been designed by Ann and Darren Mayner with instructions by Darren Mayner. 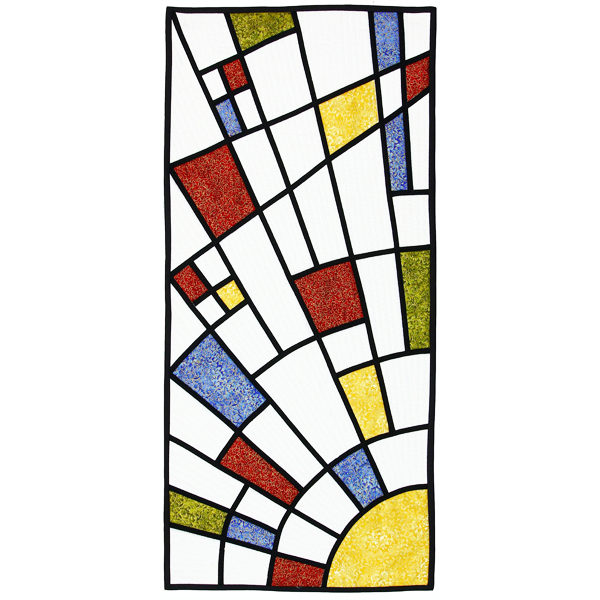 All sizes are in inches (1 inch is approximately 2.5cm). 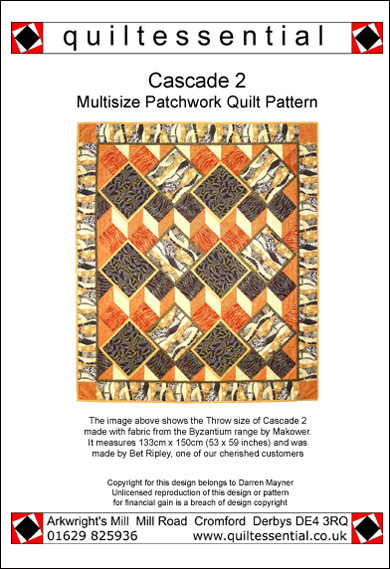 Size(s): 24 x 24", 39 x 39", 55 x 55"
Size(s): 42 x 50", 74 x 100", 90 x 100", 98 x 100"
Size(s): 62 x 62", 90 x 90"
Size(s): 53 x 26, 53 x 43, 53 x 59, 73 x 93, 93 x 93"
Size(s): 41 x 41", 64 x 64", 88 x 88"
Size(s): 40 x 40", 80 x 92"
Size(s): 48 x 48", 51 x 63", 89 x 63"
Size(s): 34 x 12", 45 x 12", 56 x 12"
Size(s): 42 x 42", 85 x 85"
Size(s): 54 x 54", 72 x 90", 90 x 90", 108 x 108"
Size(s): 33 x 42", 42 x 42", 33 x 60", 60 x 87"
Size(s): 35 x 65", 52 x 72", 67 x 67"
Size(s): 42 x 42", 42 x 66", 70 x 70"
Size(s): 42 x 54". 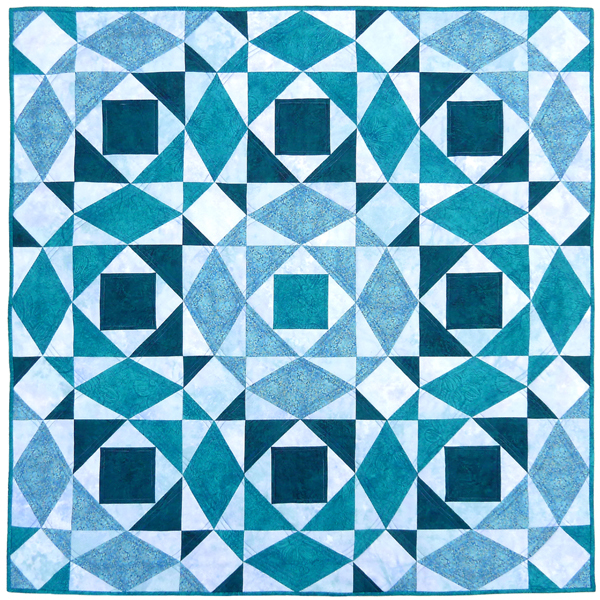 60 x 60", 81 x 93"
Size(s): 42 x 57, 60 x 75"